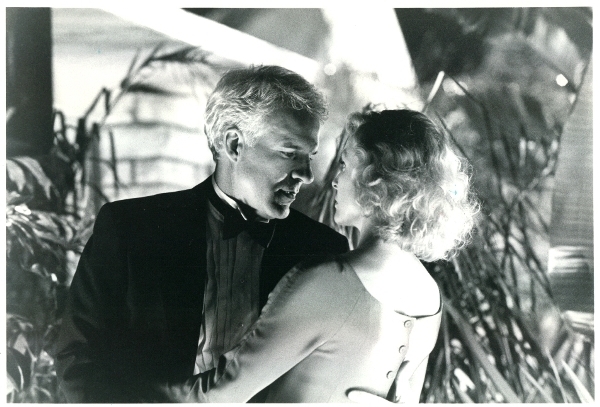 A few days ago, in the midst of an 80s/90s movie night, a friend brought up the underappreciated 1991 film L.A. Story. And today seems like the most appropriate day to gush about it. Steve Martin is a noted art collector and the movie has a delightful amount of museum scenes, like the hilarious analysis in the trailer. What makes Martin’s script for L.A. Story so charming is how he moderates the everyday, ostensibly vapid life of Los Angeles with a believable love story. Fun fact: Victoria Tennant, his co-star/love interest was actually his wife from 1986 to 1994. >Martin: Stay here in L.A.
>Tennant: What? How would it work? >Martin: We’d see each other, take it easy at first and then… marriage, kids, old age, and death. >Tennant: What if I were to go? >Martin: All I know is, on the day your plane was to leave, if I had the power, I would turn the winds around, roll in the fog, I would bring in storms, I would change the polarity of the earth so compasses couldn’t work, so your plane couldn’t take off. Enter Enya. Unfortunately the only clip I could find has the “weather-changing” scene interspersed in an Enya video. If you can get through Enya wrapped in fabric like a Glamour Shots model, you’ll get to the glorious ending. Happy Valentine’s Day.